Engineered Timber Construction Systems: The timber used throughout all Cabin Life cabins is called “Nordic Spruce Pine”. We only use approved Foresty Service Commission (“FSC”) plantation grown timber. Nordic Spruce is a slower grown timber from Northern Europe which has a tighter grain. it is much more durable and stable than normal Australian Pines. It is widely used for it’s robust reliability, longevity and structural strength and for it’s impressive aesthetic qualities. We have engineered N3 wind rating on our most popular models and C2 Cyclone rating is easily achievable with this type of construction as it is all solid timber that interlocks into each other. Being solid timber there is no need for expensive internal cladding like gyprock walls and ceilings. This reduces the build time and costs associated with cladding significantly. This is not a new system. It may be new to Australia but the rest of Europe and North America has been using this type of joinery for many decades. Our European supplier provides over 40,000 cabins each year world wide and has been in business for around 20 years. 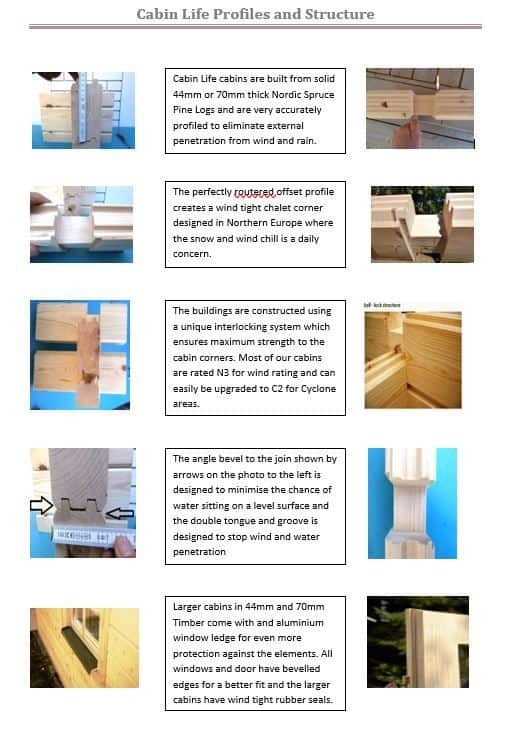 When you study our timber profile as photo’d in detail in the “Cabin Life profiles and structure sheet” below, (Andrew – insert the jpeg under this paragrapgh) you will soon see the detail in the profile and what it is designed to do. The precision milled double tongue and grooves fit snuggly together to make a firm seal and the bevels on all timber edges is tapered to minimise any possible settlement of water on the timber. 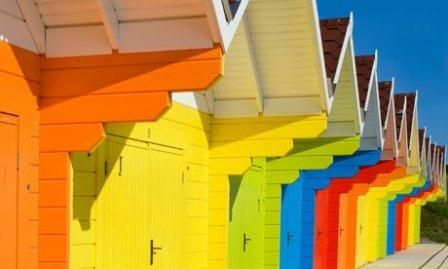 Of course all timber must be sealed with a top quality sealer like Sikkens or Intergrain or a good quality exterior paint. All doors and windows have tapered edges to form a snug fit. Our larger models have double glazed windows and rubber seals to ensure an excellent seal. When considering this type of construction we must remember that the designers are from areas that have -20 degrees wind chill and constant snow, so they know the importance of a quality thermal seal. 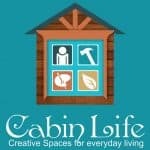 Cabin Life has a the capacity to deliver hundreds of timber cabins around Australia every year. 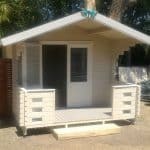 We offer cabins with wall thicknesses of 40, 44 and 70mm. Walls: The well machined solid tongue and groove timbers slot together firmly to create a tight wheather proof seal and the “classic notch” timber corners give the building great strenth and durability. This also means that there is no need for epensive internal linings such as gyprock as the tongue and groove timber joins very neatly into the internal corners giving you a a quality finished product which you can stain and seal to keep the natural timber appearence or you could paint the inside and give it your own personal touch. Roof Beams: The log cabin is constructed by using no less than 136mm x 44mm thick roof beams on 44mm models and 136 x 70mm thick roof beams which not only provide a solid construction, they also look great too. Durability: This type of building is proven to stand the tests of time. Many Classic Timber buildings stand as a testament to the ever lasting durability of this traditional log cabin syle of construction. For your Cabin Timber Warranty you must properly paint or seal the Cabin kit within 3 months after construction. Want to find out More? Fill in your details below to be contacted by one of our sales reps.